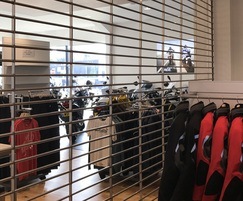 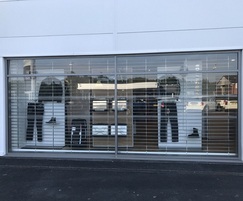 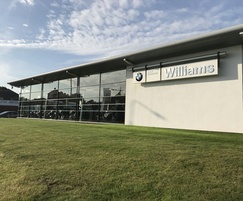 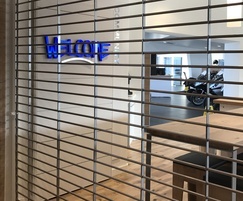 Bolton Gate was specified to provide the security grilles for the completed extension and refurbishment of the Williams BMW Motorrad motorcycle showroom in Manchester. 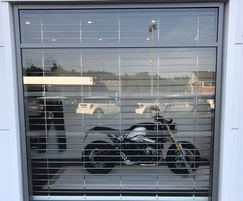 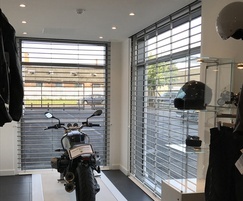 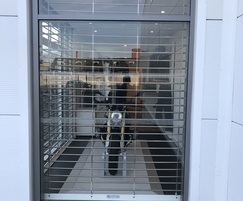 In keeping with the prestigious appearance of the building and high-end motorcycles on show, parallel mesh electric rolling grilles in polished stainless steel were chosen to protect the showroom, service area and external windows. 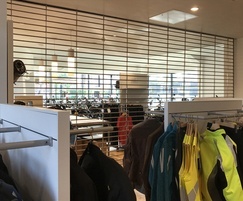 In order to remain unobtrusive during trading hours, the bottom rails and side guides were powder-coated white to match the surrounding walls and ceiling. 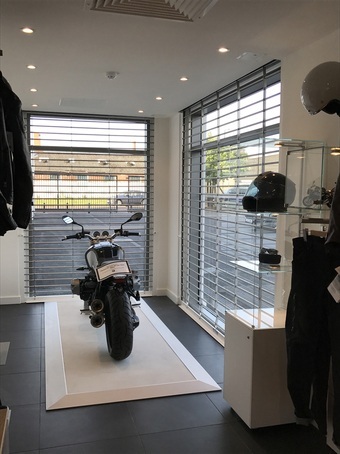 For ease of operation, all grilles were electrically linked to allow simultaneous operation via a group control panel and keyswitch.